NWASAC 2013 Top 30 Final. With nothing on the match calendar since before Xmas there was an air of excitement as the top 30 finalists gathered to fish this match at Otterspool. 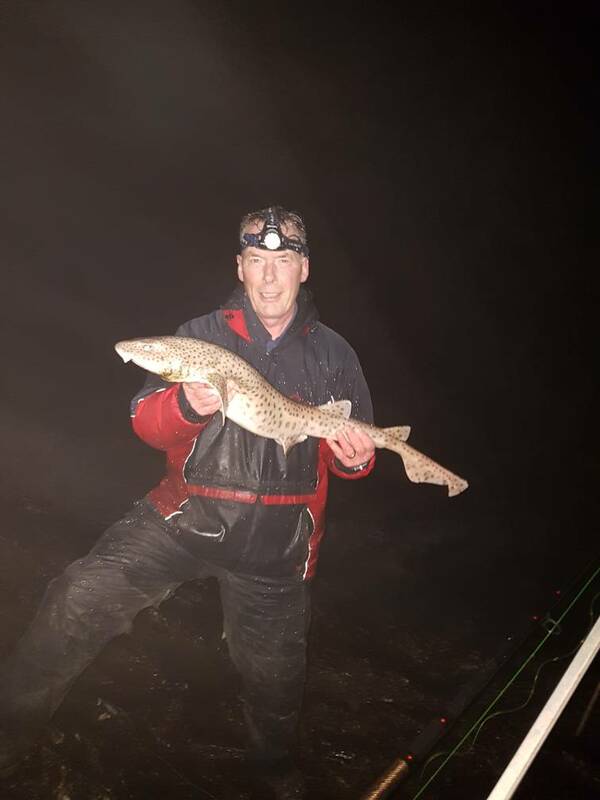 We were lucky to have chosen such a good window in the weather and the 28 finalists who turned up had a good night with lots of small codling, good whiting and dabs dominating there catch. We fished two zones from either side of the anchor, paying out down to tenth place continental style with a prize fund of £910 collected throughout the leagues and raffles. The prize money ranged from £40 to £160. Bill and I would like to thank all the anglers who have supported us throughout 2013 and hope you continue to do so during 2014. Thanks Heather, really enjoyed it. Looking forward to the league. Thanks Heather.A good days fishing by the looks of it.